It’s the most wonderful time of the year. 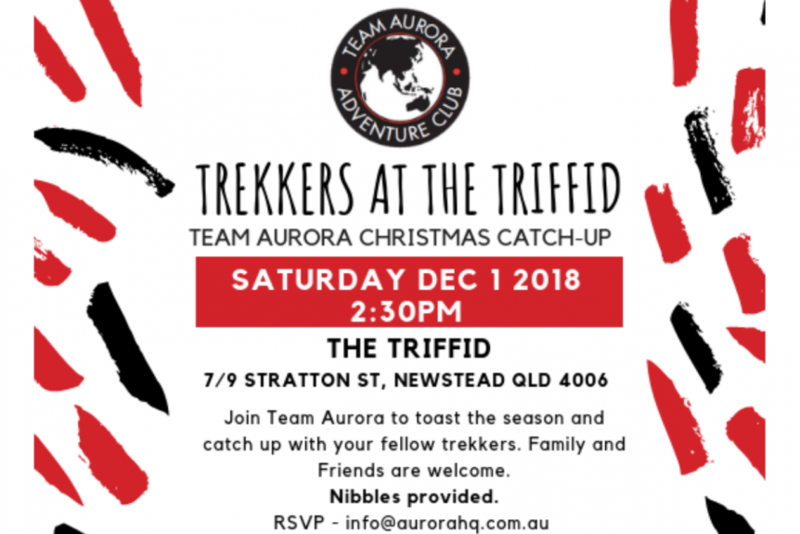 Come join us on December 1st at the Triffid in Newstead for the annual Team Aurora pre-Christmas Trekker catchup! Always a great event, this is an great opportunity to get your trek mates together to relive some great memories and tell some tall trekking tales. Friends and family are most welcome so we look forward to seeing you all at Trekkers at the Triffid 2018. To RSVP for catering nibbles go to the Trekkers at the Triffid Facebook event here.